Delivery Solutions (Delsol) Ltd works within the service sector providing same day courier and overnight delivery services to business and private individuals throughout North Wales & the United Kingdom. Delivery Solutions works in partnership with the UK’s best delivery networks, which include other like-minded independent transport companies who are dedicated to service excellence. These networks extend directly into Europe; by working with these companies it is able to assure its customers of service quality from the moment it collect their goods right through to the point of delivery. Whilst gaining experience within the industry, the founders identified the need for a reliable, cost effective logistics company that would provide a “One Stop Shop” for business customers within its area, an opportunity to purchase the company presented itself and the foundations for Delivery Solutions were created. Delivery Solutions (Delsol) Ltd decided to compete with and outperform the many global delivery companies that operate within the sector. The aim is to provide a quality driven, cost effective collection and delivery service that meets or exceeds all of customer expectations. Perhaps the biggest challenge faced during the start-up years was the Fuel protests and subsequent fuel shortages that were experienced during September 2000. During this period a calculated decision by the directors to install and bunker their fuel allowed the company to continue service when other major players in the industry ground to a halt. Employing the best has been critical to the company. As a small business, the founders realised the way to keep customers happy was to provide a personal service. Drivers are friendly and helpful and the customer service staff are always at hand to help. Delsol doesn’t hide behind voice mail or digital answering machines and customers are always able to speak to someone if they need information about the whereabouts of a parcel or pallet, get advice on a transport solution or discuss new business. The company also has the ability to adapt quickly and change to the current business environment with a willingness to embrace technology and seize opportunities when they arise. Finally, the firm has an efficient and effective accounts department with tight controls on expenditure, up to date management reports and accurate billing systems to the customer. The plans for the future are to maintain the depots in Caernarfon and Deeside as the regions recognised, reliable and cost effective leading logistics provider to industry and the private sector. The founders Simon Walker and Tony Parry recognise the importance of employing knowledgeable local people and providing them with the tools and skills to help grow the business further. The new Delsol Direct website allowing non-account users to access premium services on a pay as you go portal has proven to be a big success for the company. Renewable energy and particularly wind farms are receiving a high level of attention and investment in the North Wales and West region. The difficulty that presents many site operators is the perceived inaccessibility of their sites when urgent components are required. 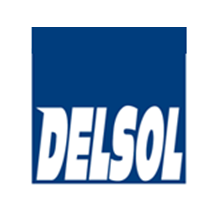 Delsol have a supply chain solution in place to service these industries on land and sea, Delivery Solutions (Delsol) Ltd see this as a key area of continued growth for the company.